A new Filipino spot has opened for business in the neighborhood. The new arrival to Sharpstown, called Gerry's Grill, is located at 6833 W. Sam Houston Pkwy S.
This new Philippines-based eatery--which has other outposts in California, Hawaii, Singapore, and Qatar--specializes in Filipino comfort foods like sisig (pig head and liver seasoned with calamansi and chili peppers), inihaw na pusit (grilled, stuffed squid), and beef kare-kare (stew with peanut sauce). On the menu, expect to see appetizers such as spicy garlic chicken wings, chicken adobo shreds and tuna or salmon sashimi. House specials include items like lumpia spring rolls, sizzling beef ribs and lechon kawali fried pork belly. With a five-star rating out of six reviews on Yelp so far, the newcomer has been warmly received by patrons. 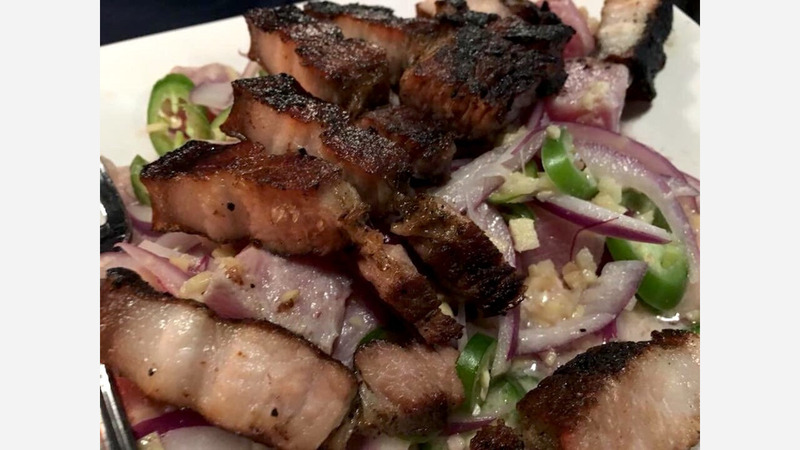 Gilbert R., who was among the first Yelpers to review the new spot on February 10th, said: "Finally after years of waiting, Gerry's Grill has finally opened in Houston! Known for their classic take on your favorite Filipino dishes, Gerry's Grill is a the newest spot in Houston." Yelper Ray G. added: "Chicken inasal is a winner! Plus the Cerbeza Negra (dark lager) which I've been nostalgic. Went there 3x already." Head on over to check it out: Gerry's Grill is open Friday and Saturday from 5pm-11pm, and Sunday-Thursday from 5pm-10pm.